Wear it solo. Stack it with your other favorites. 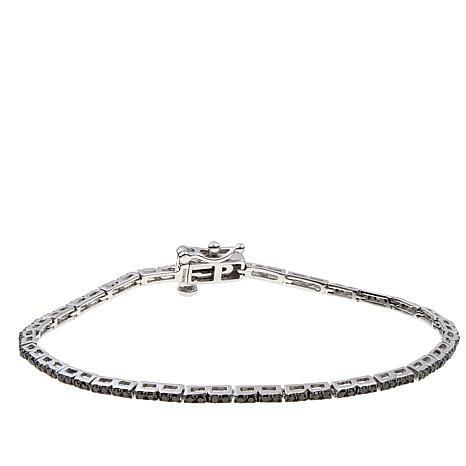 However you style this bracelet, elegance is ensured. With gleaming sterling silver and the glitter of genuine diamonds, it's a chic addition to your jewelry collection. Make it a go-to for work, for play and everywhere in-between. I purchased this bracelet in blue. The diamonds have a great sparkle and it wears very well by itself. I love the slim line of glitter that catches the light and adds sparkle to my wrist. Would love to have on in champagne diamonds, but it was sold out. I love this bracelet! It is Beautiful! For the price you can't pass it up! Thanks HSN! 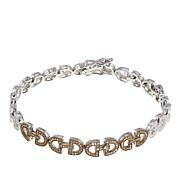 Gorgeous, Sparkling Line Bracelet ... Wow! Thanks "Diamond Specialists" for offering these in 3 Diamond colors. I own the Champagne and the Blue Diamond Bracelets and wish to ask if you will consider bringing this bracelet back in "White" Diamonds.Your design is perfect to wear stacked with watches, and other colored beaded and gold bracelets.Hoping to own a White Diamond one of this design soon from you. Love these bracelets, and Sparkle Factor of these Diamonds in The Best! 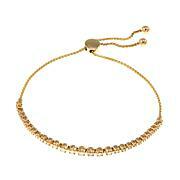 If you're looking for something dainty, this bracelet is beautiful! I chose the champagne color. Love it! !